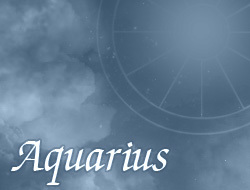 Persons under the sign of Aquarius highly appreciate freedom in the relationship. In some cases they can decide to be a single until get to know somebody, who will be able to well understand them and give reciprocated feeling. Usually they don't rush with establishing a formal relationship – sometimes through certain period they can cohabit. Aquariuses are very romantic and loving persons. Sometimes they react very emotionally to various love turbulence. They can often surprise their partner with eccentric and original approach to the life. However, they must sometimes watch out, because often are too jealous of their second half. Aquariuses dream of romantic and unique relationship. Quite often they also demonstrate unusual ingeniousness, by which rarely feel boredom and stagnation. Repeatedly they try to reach a compromise with their partner, in order to find a common way out of troubles and understand each other. If Aquarius overcomes its defects, can build a pretty successful, strong and long-lasting relationship, based on love and reciprocated feeling.